For people who’ve tried all of the latest serums and creams on the market to address their skin issues, but simply are not getting their desired outcome, there’s another option. It’s a procedure called microneedling. As the name implies, in a microneedling procedure tiny needles are used to create small punctures in the top layer of the skin, which then triggers the body to heal the wounds by stimulating collagen and elastin production. Many find that microneedling results in a reduction in the appearance of fine lines, acne scars, and hyperpigmentation. Plus,it encourages more vibrant and healthy-looking skin. Here are a few more details about medical microneedling and what you can expect. Microneedling—also called collagen induction therapy—is a minimally invasive skin rejuvenation treatment that uses a hand-held electric device with tiny needles to pierce the skin. The body responds by producing collagen and elastin fibers, which causes the skin to become fuller, reducing the appearance of acne scars, uneven skin texture, and stretch marks as a result. Microneedling is a professional procedure performed by a board-certified dermatologist, cosmetic surgeon, or a licensed aesthetician under the supervision of a doctor in some states. You should schedule an appointment with a professional and ask specific questions about the process and whether you are a strong candidate before having the treatment done. As mentioned, microneedling is used to reduce the appearance of scarring, fine lines, enlarged pores, and uneven skin tone, among other skin concerns. Collagen and elastin help heal the skin and the areas around it, which can lead to a reduction in the appearance of minor scars and fine lines while promoting elasticity in the skin. Additionally, microneedling procedures can help topically-applied corrective ingredients, such as hyaluronic acid and vitamin C, penetrate deeper into the skin to work more effectively and give skin the hydration and antioxidants it needs. You should notice firmer skin and a brighter complexion, although your skin may be red and irritated for a few days afterward. Taking care of your skin after a microneedling procedure is one of the most crucial steps. You want to be gentle on your skin but use potent products recommended by your dermatologist. Products specifically designed for use with microneedling will enhance the outcome of the microneedling procedure and ensure that the deeper layers of the skin are hydrated and nourished with vitamins, anti-inflammatories, and antioxidants. A recommended key ingredient in microneedling post care is a triple-weighted hyaluronic acid complex to promote maximum hydration. Vitamin E is a powerful antioxidant, so look for a high-quality vitamin-rich repair formula that contains it as well as vitamin A esters. While you may wince at the thought of tiny needles pricking your skin to trigger your body’s natural healing process, it may be worth it to achieve the radiance you are looking for. The treatment isn’t painless, but it isn’t excruciating either. Additionally, a numbing cream is often applied topically to help prepare the skin for the procedure and minimize discomfort. The practitioner will make three to four passes with a pen-like tool over each treatment region to ensure even and complete coverage. Microneedling can be done once every four to six weeks. Scar reduction treatment requires three to six sessions while collagen induction requires at least three treatments. Dp Derm is the official U.S.-based distributor of Dp Dermaceuticals, a trusted skincare line specifically developed and designed for microneedling procedures. Every product is carefully crafted to ensure clients can achieve optimal results. To get the best outcome from a microneedling treatment, specialty products, such as a microneedling serum, should be used on the skin throughout the treatment course. 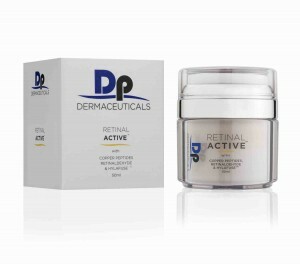 Dp Derm offers a holistic approach to skincare. They offer products to help practitioners and patients alike take care of their skin before, during, and after a microneedling procedure. A base component of Dp Dermaceuticals’ skincare line is hyaluronic acid, specifically the breakthrough HylaFuse Complex.